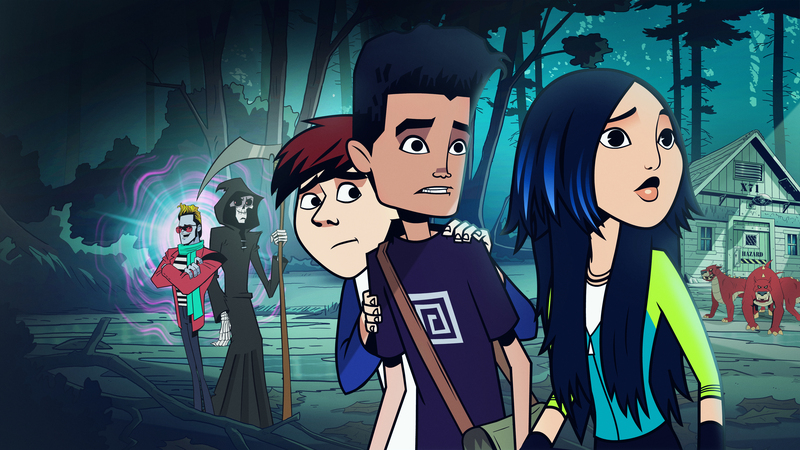 Dublin, Ireland – March 19, 2019 – 9 Story Distribution International is pleased to announce that it has entered into an agreement with Vancouver-based Slap Happy Cartoons to acquire the animated series The Hollow (10 x 22’), aimed at children 8 and up. Following its worldwide Netflix premiere, 9 Story Distribution has retained all other distribution rights worldwide and will be featuring the title at MIPTV in April. Created by the team behind Nerds and Monsters (Vito Viscomi, Kathy Antonsen Rocchio, Josh Mepham and Greg Sullivan) this mystery/adventure series focuses on 3 teen strangers – Adam, Kai and Mira – who awaken in an underground bunker with no memory of themselves or each other. Forced to make sense of their connection in a mysterious realm, together they must fight through the challenges presented in this strange world, like magic portals, peculiar puzzles, and nasty beasts, while discovering new strengths within themselves to assist them along the way. The first season of The Hollow premiered June 2018 on Netflix and has received widespread critical acclaim for its edgy, serialized storytelling. Common Sense Media said “…the kind of kid who’s maybe just a little too young for Stranger Things is just the right age for this appealingly weird series.” Collider listed it as one of the Best New Animated Series for 2018, calling it “an easy binge watch, and an addictive one at that.” Netflix recently greenlit the series for a second season, set to launch in 2020.